Police have expanded their investigation into violence at the Echt Show after it emerged a man suffered facial injuries in an assault. Six people have already been charged in connection with the disturbances which happened after the annual farming show had closed. Now police are seeking witnesses to the further incident, that took place at around 1.30am on Sunday, July 9. The 28-year-old victim was attacked as he left the showground, outside on Main Road East, and was taken to Aberdeen Royal Infirmary for treatment. Sergeant Willie Murdoch, of the Divisional Alcohol Violence Reduction Unit (DAVRU), has urged people to come forward and said: “I would appeal to anyone with information which could assist with our inquiry to please get in touch. Crowds of 1,200 people attended the July 8 event, which culminated in a marquee dance that night. 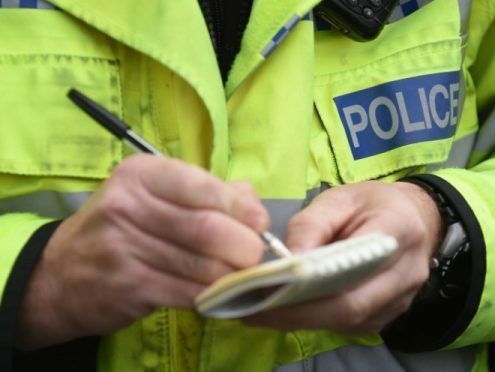 A 26-year-old man from Rothienorman, a 21-year-old man from Torphins, a 20-year-old man from Inverurie and an 18-year-old man from Westhill have all been charged in connection with a fracas that broke out after the dance in the early hours of the morning after. An Alford man aged 21 was also charged in connection with a minor drugs offence while a 16-year-old girl was reported for trying to use a fake ID. Police say alcohol-fuelled disorder or anti-social behaviour of any kind will not be accepted as shows are held more frequently across the region and said there were no reports of any disturbances at the New Deer show or Tomintoul games held at the weekend. Local Area Commander, Chief Inspector Murray Main, said: “If any anti-social behaviour is detected at these events then we will have no option but to deploy increased police resources in the future. Anyone with information should call police on 101 or Crimestoppers on 0800 555111 if they would prefer to remain anonymous.